What the systems explored in this guide have in common is that they are forced-air systems that rely on ductwork to pull in cold air from your home, heat it and push it back into your living spaces. You’ve got 4 good options for central heating. Which one is right for your situation is determined by factors discussed below. The summary chart below brings all the information together at a glance. The main features and costs a heat pump vs. gas furnace vs. electric furnace vs. dual fuel heat pump are summarized here with further details in the content below. (2) Central air conditioning can be added to a gas furnace or electric furnace system for an average installed cost of $3,000 to $4,500 depending on size, efficiency and performance of the AC. (3) The “Cost/BTUs” column is the operating cost to create 1Million BTUs of heat based on national energy cost averages. Then range reflects that each type of equipment is available at various efficiency levels. Let’s explore each system in more detail with pros, cons and a cost breakdown. Heat pumps are also called air source heat pumps to differentiate them from ground source/geothermal heat pumps. They are among the fastest-growing type of HVAC system, taking market share from conventional gas furnace/AC split systems. Heat pump system options: Most of these systems are split heat pump systems. The heat pump (technically called the condensing unit) is installed outside. The air handler contains the indoor refrigerant coil, and the entire unit is installed indoors on any level. Heat pumps both heat and cool the air in your home. Package heat pumps are also available. The condensing unit and air handler are combined in a single large cabinet that is typically installed outdoors. Energy use: Air source heat pumps have the lowest operating costs of the four. The reason for this is that they do not use electricity to create heat, as an electric furnace does. Rather, they use a small amount of electricity to circulate refrigerant that collects heat outside and dumps it inside when heating. It does the reverse when cooling – collects heat indoors and dumps it outside. Heat pump pros and cons: Here’s what’s good and bad about heat pumps compared with your other system options. Energy reduction: Operating costs are lower than those for a gas furnace or electric furnace. Total HVAC: Heat pumps double as air conditioners in warm months to cool and dehumidify air. Indoor comfort: Heat pump and air handler systems offer the most comfortable climate control, especially a two-staged or variable-capacity system. Equipment cost: Heat pump systems cost more than gas furnaces and electric furnaces. Efficiency loss: Packaged heat pumps are 15% to 40% less efficient than split system heat pumps. Paying for what you don’t use: If you live in a cool climate and don’t use air conditioning, then the higher price isn’t cost-effective. See our Heat Pump Buying Guide for additional details. A gas furnace is a self-contained system. It includes a blower motor and fan to circulate air in a forced-air system. Most are natural gas, but in rural areas without gas lines, propane is commonly used. Converting a furnace for use with propane is a simple, affordable project. Gas furnace system options: A furnace might be the only HVAC component needed in a northern climate where AC isn’t used. If your summers are warm, the furnace can be combined with a central AC or heat pump. Packaged systems are available. Energy Use: Your options are furnaces with 80% efficiency and furnaces in the 90% to 98%-plus range. An 80% model is cost-effective for warm climates where little heating is needed. 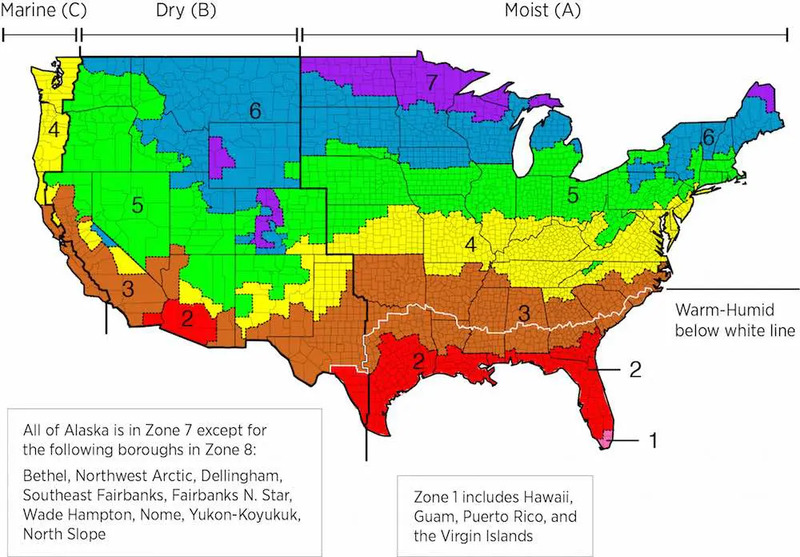 In cold climates, a 90% or higher unit is required by law. The colder your climate, the more efficient your furnace should be. Gas furnace pros and cons: Compare these advantages and disadvantages with the other heat sources in this guide. Value: Gas furnaces combine good affordability with efficiency, especially 95% and more efficient models. Lower energy cost: Replacing an old furnace with a very efficient gas furnace can reduce energy use and cost by as much as 25%. Dependability: Gas furnaces are reliable, and maintenance and repair costs are not as high as with heat pumps. Cheap heat: An 80% furnace is cost-effective where heating need is limited, such as in warm climates or part-time locations like vacation homes and guest apartment. Low/moderate operating costs: Natural gas and propane furnaces cost much less to operate than electric furnaces. Lower installation cost: A gas furnace alone (no AC) costs less to install than a split system that has two major components. Equipment cost: While costing less than heat pumps, gas furnaces cost more than electric furnaces to purchase. However, the extra cost is made up in a few years because of the far lower operating costs of a gas furnace vs. an electric resistance furnace. Install cost: Installation costs are higher for gas furnaces than for electric furnaces because of the need for a gas line and exhaust vent to be installed. Not the lowest operating costs: Even the most efficient gas furnaces have higher operating costs than mid-range and high-efficiency heat pumps. Our Gas Furnace Buying Guide has a wealth of additional information on these popular forms of central heating. An electric furnace is also self-contained. It includes heating coils or strips with capacity ranging from about 10kW/h to 25kW/h, equivalent to 34,000 to 85,000 BTUs. The unit also has a blower motor and fan to draw cold air, pass it over the heat coils/strip and push it into living areas of your home or commercial space. Electric furnace system options: A central air conditioner can be added to the system if a condensing unit is placed outside and a cased AC indoor coil is installed. Electric furnace pros and cons: While energy use is high, it’s not all bad news for electric resistance heat furnaces. Low equipment costs: These units cost the least of all heating types in this guide. Low installation cost: No venting or gas line is required, just one or two 240V lines. Good value in part-time heating: Because of the cheap cost of the furnaces, they make financial sense where only occasional heating is required due to the warmth of the climate or because the space is used only part of the time. Dependability: Electric furnaces often last 20+ years with basic maintenance and minor repairs. Good comfort: Two-stage furnaces with multispeed or variable-speed heating offer gentler heating and better temperature balance, though at a higher cost than single-stage units. Operating cost: Energy costs that are 3-4 times higher than other central heating options. Research more details in our Electric Furnace Buying Guide. These systems employ a heat pump to provide most of the heating but switch to gas furnace heating when outside temperatures get very cold. The system can be programmed to switch heating modes at any temperature – though it’s usually in the mid-30s F.
Dual fuel heat pump system options: As with standard heat pumps, both split systems and packaged systems are available. Energy use: These HVAC systems use less energy than a gas furnace system. Dual fuel systems use more energy than a heat pump by itself. However, some heat pumps can’t provide enough pump enough heat in very cold climates, so they have electric resistance strips inside as backup/makeup heat. They’re basically combination heat pumps and electric furnaces. If a heat pump system relies on its electric resistance heating more than just occasionally, then a dual fuel system that switches to a gas furnace instead of the heat strip will use less energy. Dual fuel heat pump pros and cons: Dual fuel heat pumps are only a cost-effective choice where winters can be extremely cold. Even then, a new breed of cold climate heat pumps is cutting into the dual fuel heat pump market. Potentially lower heating cost: Energy use and cost are lower for a dual fuel system than for a heat pump-only system that must rely on resistance backup heat strips. Costs are much lower than for an electric furnace. Climate control: Both heat pumps and gas furnaces can deliver staged heating for quiet operation and comfort. AC too: The heat pump is an air conditioner in warm months. Packaged units: Heat pump packaged units like these from Trane are available from top brands (though they are not as efficient as split dual fuel systems. Upfront cost: A heat pump and gas furnace is the most expensive system of the four we’ve reviewed here. Cold climate heat pumps may be replacing them: There are a growing number of heat pumps, both standard split system and mini-split heat pumps, that can operate effectively in outside temperatures well below freezing, so no furnace is necessary. It won’t be long, in our opinion, before they will be in higher demand in cold climates than dual fuel heat pumps. Gas furnace efficiency in top models is already near 100%, so there is limited room for improvement. However, heat pump technology continues to improve, so heat pumps even in cold climates are producing heat equivalent to 300% to 400% of the energy they consume. For more details, see our Dual Fuel Heat Pump buying guide. Climate is the most important consideration when deciding which type of system to purchase. Hot climate: A heat pump and air handler is the clear winner in a hot climate because of the need for air conditioning. If you have an AC and air handler but occasionally want heat, then installing an electric furnace when replacing an aging air handler makes economic sense too. Moderate climate: If winter temperatures drop below freezing only occasionally and don’t stay down long, then a heat pump is a better option than an AC and gas furnace. While equipment cost will be higher, heating with a heat pump will produce lower energy cost than heating with a furnace, and your investment will be paid back long before it is time to replace the system. If the heat pump occasionally can’t keep up due to extreme outside cold, using a space heater or the supplementary electric resistance heat in the system won’t dramatically raise annual heating costs. Cold climate: You have three good options. If you don’t need air conditioning, but can cool your home window fans or a whole-house fan during occasional warm weather, then a gas furnace by itself is the most cost-effective option. A dual fuel system costs more, but it gives you the assurance that if one form of heating fails mechanically, you won’t be left without heat. Finally, a cold-climate heat pump is an expensive choice, but it will produce lower heating costs than a gas furnace – likely by 20% to 35%. Many leading HVAC brands (Trane/American Standard, Carrier/Bryant, Amana, Lennox, Heil and other ICP brands, Armstrong and others) make high-efficiency models that qualify as cold climate heat pumps. There is much more information about each heating type in our Buying Guides. This includes detailed cost information for equipment and installation, efficiency levels and a discussion of features and options. Information about top brands and a cost comparison among them are included. Each Buying Guide helps you decide if it’s the right heat option for your home or commercial building. We’ve linked to each of the guides above. If you’re ready to get estimates on systems to compare them directly, we can help. If you use our Free Local Quotes Tool, you will receive written estimates from several of the top heating contractors in your area. They are prescreened for experience, and all are licensed and insured. There is no cost to you, and you are not obligated to accept any of the estimates. The contractors know they are competing for the work, so they provide their best pricing for quality work.